There are no solved problems listed on our records for this Nintendo 3DS game. To submit a problem or give a solution for an unsolved problem, please see the list on the right. There are no unsolved problems listed on our records for this Nintendo 3DS game. To submit a problem or give a solution for an unsolved problem, please see the section below. All problems on this page have been submitted and answered by users. If you have a problem with LEGO Batman 2: DC Super Heroes, please submit it below and we'll post it here. 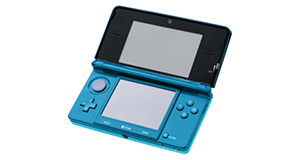 Remember that the 3DS is region locked and that games bought outside your country may not work.